This month sees us mixing flavors from Ethiopia, Bali and Colombia. ETHIOPIA YIRGACHEFFE – LIGHT ROAST We really enjoy drinking coffee with a twist of tartness to it. This Ethiopian bean will bring a tart dried fruit note to your morning cup. On the first sip, you’ll notice the apricot fruitiness adding complexity to the flavor, while a mellow maple note finishes off everything smoothly. This Ethiopian bean remains a good light roast base bean for all our blends. BALI BLUE MOON – MEDIUM ROAST Upon tasting the Bali, we felt it went best at brunch time. A wonderful citrus cup of coffee coming from the citrus trees that shade its growth. We love the dark molasses undertones and pomelo nose. Try it with a light twist of your favorite citrus fruits. Enjoy this cup of coffee between brunch to midday, also we found it great over ice. COLOMBIAN LICORICE BLEND – DARK ROAST Personally, I think the Colombian bean is the best in the world at a dark roast, this month we have blended it ever so slightly: 4 parts Colombian and 1 part India Cherry. Both of these bean have been offered as single origin, but together they are a powerhouse of flavor. Colombian, with its mild malty sweetness and with a hint of licorice from the India Cherry bean creates a flavor we find rewarding in the morning. OUR RECOMMENDATION ON BLENDING Try all the roasts individually to appreciate each distinct flavor. Next, try our Blend 311 recommendation—3 parts Colombian Licorice, 1 part Bali and 1 part Ethipian. Finally, venture out with your own blend according to your taste preferences. Keep in mind that the lighter bean has more caffeine, while the darker bean has a fuller body. Use a tablespoon to measure out the coffee by parts and place into a burr grinder, then give them a quick shake. Alternately, you can mix them after each bean has been grind individually. Most coffee blends are made by mixing various green bean varietals, then roasting together for a single type of roast. Coffee Method Blends are unique in comparison to others as our blends are comprised of individually roasted beans before mixing them together. We believe a true coffee blend should have at least 3 distinct bean colors, marking the various roasts. 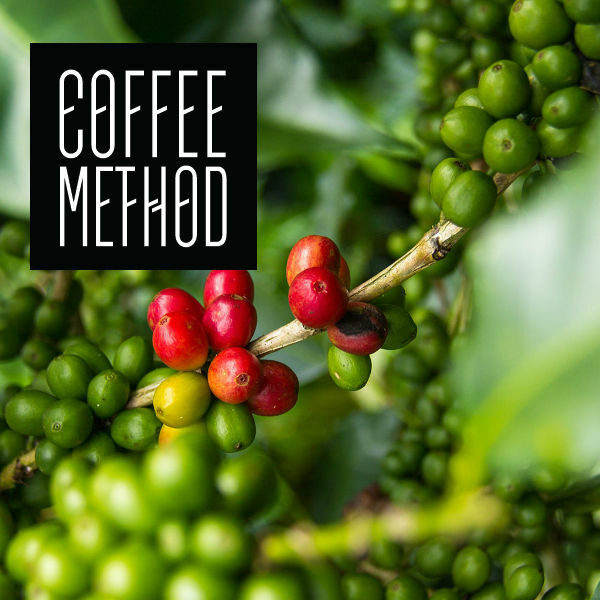 This method preserves the distinct notes from each bean and roast profile—resulting in a more complex nose from the variety of flavors.The goal of our blends is to create a cup of coffee that stands on its own without having to add cream or sugar. Try all the roasts individually to appreciate each distinct flavor. Next, try our Blend 311 recommendation—3 parts Dark, 1 part Medium and 1 part Light. The Red Sea and Rwanda roasts bring out the sweet notes, blended with the dark Colombia for a smooth baker’s chocolate and caramel finish. Finally, venture out with your own blend according to your taste preferences. Keep in mind that the lighter bean has more caffeine, while the darker bean has a fuller body. Use a tablespoon to measure out the coffee by parts and place into a burr grinder, then give them a quick shake. Alternately, you can mix them after each bean has been grind individually.